Can you use wood ash to kill clover? And are burned-up wood stove chunks the same as Biochar? | Gardens Alive! Q. Can hardwood charcoal from a wood-burning stove be used the same as ashes? 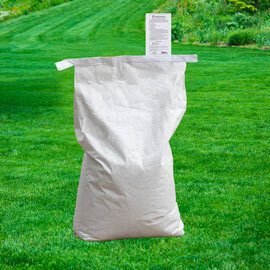 I would like to use the chunks I sift out to help the 4000 square feet of groundcover surrounding my driveway overcome clover. I'm hoping the alkalinity (if charcoal is alkaline) will abort the clover and allow the Dianthus and Periwinkle and Phlox to prosper. A. I can hear you all asking: "Mike—are these little pieces "Biochar"? Does this mean you're finally going to discuss biochar on the record?" Many plants—azaleas, rhododendrons and blueberries, to name but a few—absolutely require an acidic soil. Spreading wood ash or other alkaline material around or even near them could prove fatal. (And often does, when wood stove owners spread their ash randomly.) In contrast, fewer plants like their soil on the 'sweet' side (which is how farmers refer to an alkaline soil, because it tastes sweet on the tongue—the 'old school' soil test); off the top of my head I can only think of peas, beans and boxwood. Ah, but what about lawn grasses? Aren't I always telling people to spread their wood ashes on their lawn instead of using lime? Wood ash raises soil pH at a rate very similar to agricultural lime (use 1/3 more ash by weight than the recommended amount of lime). Wood ash contains some nice micro-nutrients that you don't get with lime. If you don't give people something to do with the stuff, they'll use it to kill their azaleas. 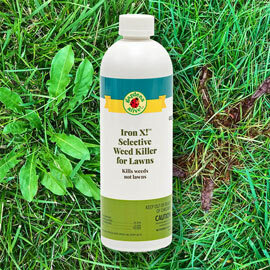 Typically, the lawns that can benefit from such an application are in regions with high rainfall—fescue and bluegrass lawns in the Northeast and mid-Atlantic states are the classic examples. But that's not always the case, and people should not add lime or wood ash without a soil test to show it's needed. Now, what about our listener's charcoal? Or should I say "biochar"? IS that what it is? Yes; his little pellets could be considered a form of the currently super-trendy biochar; and, like professionally produced biochar, would be expected to raise the soil pH. BUT—has the correct question been asked? Is the use of these pellets or even basic wood ash itself a reasonable way to reduce or eliminate clover in the three named groundcovers? Or is our listener instead following the ancient theory of "I have a) a lot of a specific waste product and b) an agricultural problem; and c) I'm going to put an equal sign in between them no matter what!" If there is an equal sign here, it's one with a big line through its center. The groundcover dianthus belongs to a plant family that includes Sweet William, pinks and carnations; it likes a neutral to slightly alkaline soil, so it might survive the plan. So might Periwinkle—perhaps better known as Vinca minor, which can survive in a wide range of soil pHs, but requires excellent drainage, as does the dianthus. Remember this seemingly off-topic observation, dear readers! And the phlox? It also requires good drainage, but needs a soil that's acidic to neutral, so the phlox would probably join the choir invisible with the wood ash/biochar plan. Ah; but the clover would thrive, Watson! A Texas A & M website warns farmers who are growing clover commercially to be sure to test their soils and raise them up if they're acidic. So changing the pH would not have the desired effect of eliminating the clover; it would make it stronger. Now—what about this drainage clue I keep dropping? Elementary. It is the Downing town, Pennsylvania version of The Dog Which Did Not Bark in the Night. The desired groundcovers thrive with good drainage. Clover is a sign of compacted soil and poor drainage. The solution is to improve the drainage, which will help the desired plants and begin to eliminate the unwanted one, although why anyone would want to eliminate another flowering plant in a mixed groundcover is beyond me. Especially when that plant is an excellent attractor of native bees and any nearby honeybees that would pollinate those groundcovers and produce more flowers. Now, as to the oh-so trendy biochar: I am neither for nor against it. What I am is skeptical—as I am of all things. In short, the original plant material from which biochar is obtained must be burned, which would normally contribute to our planet's CO2 burden. But in the ideal manufacturing circumstances wherein one hopes, the biochar products currently on the market are being produced, the gases that result are captured and reused, allowing for its carbon footprint to be potentially beneficial. So whether it is good or bad depends on exactly how it is produced. Simply burning your crop wastes to produce biochar is NOT good for the environment. In cases like our listener's, the 'char' would be already present as a wood stove by-product, so it is somewhat carbon neutral by default, as it already existed. And if the stove in question is equipped with a catalytic converter, a device that reburns the gases produced by the stove, I would say that the resulting char is leaning towards the very positive end, footprint wise.